i was using html template with requestAnimationFrame in Server 2.1 Beta 2. tickers was scrolling smooth with huge data. i’m using server 2.2 because CEF version updated with newer version. text are now smooth. 3d transform is now supported. CSS property will-change now supported (this property is very useful for rendering buttery smooth animation). and one more thing how can we activate hardware acceleration for html? so i can test rendering tickers with hardware acceleration. I am fell in love with html templates , but described behaviour I have also observed, prevents me from deploying this wonderfull system in our TV. Is there someone who has solved this problem in 2 2 or not observed it on his system? Can we expect some upgrade, which will solve this issue? Do you experience stutter on the “physical” output (Decklink, NDI, etc.)? Screen consumer in my setup often drops frames but over SDI/NDI I’m receiving silky smooth animations. “physical” output (Decklink, NDI, etc.)? yes, occasionally. can we buffer html for smooth animation?? I experience “jumping” of animated obejcts also in the Decklink output. It occurs randomly and also in a very simple HTML examples with one div with one text, when I try it to move vertical via CSS translate3D or translateY. Moving along the X axis is usually correct. System specs: Dell Precision 7920, 2 x Xeon 3,4, Quadro P4000 / Decklink mini monitor 4k. 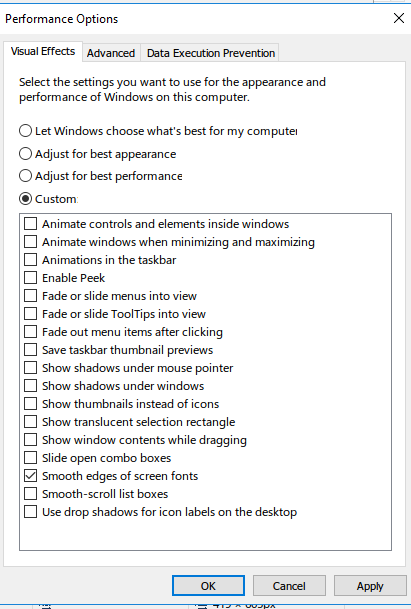 IanShade could You post Your system settings and a simple HTML example with silky smooth animation please?